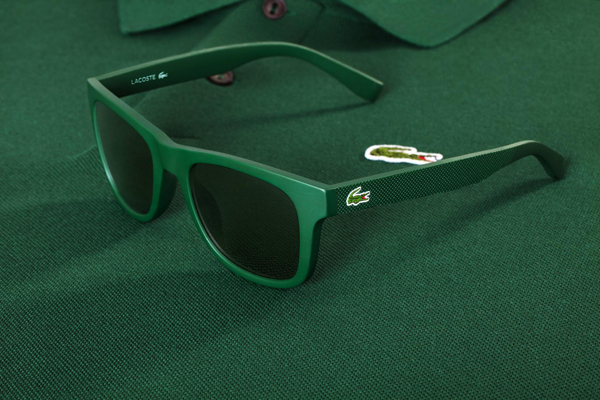 This unisex model of sunglasses is inspired by Lacoste’s iconic L.12.12 polo shirt, born in 1933. Featuring the unmistakable petit piqué texture and croc logo on rubber temples, it comes in six saturated colours typical of the world-renowned brand. A design just as simple and direct as René Lacoste’s legendary shirts.